Shaun Burner is a Sacramento based artist that has been painting murals and other things around the world for 20 years. Recently he has started working a lot with recycled wood pieces. 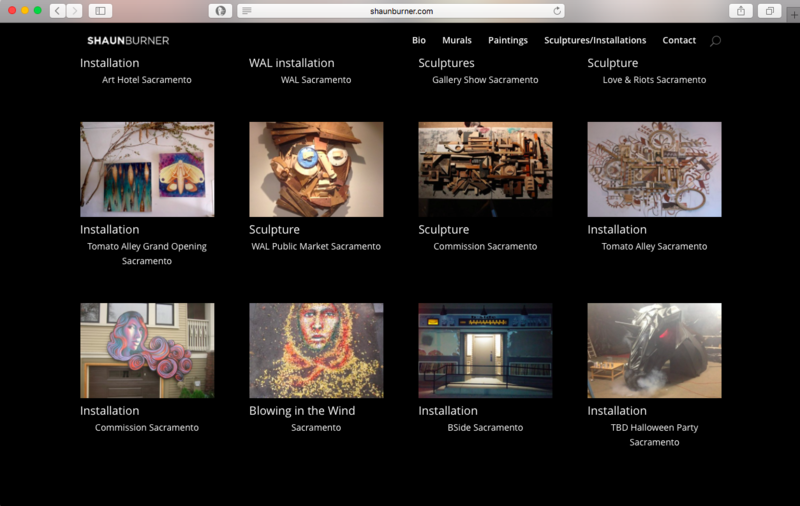 The hero shot that is on the home page of this website was taken by me, at the Art Hotel in Sacramento CA. 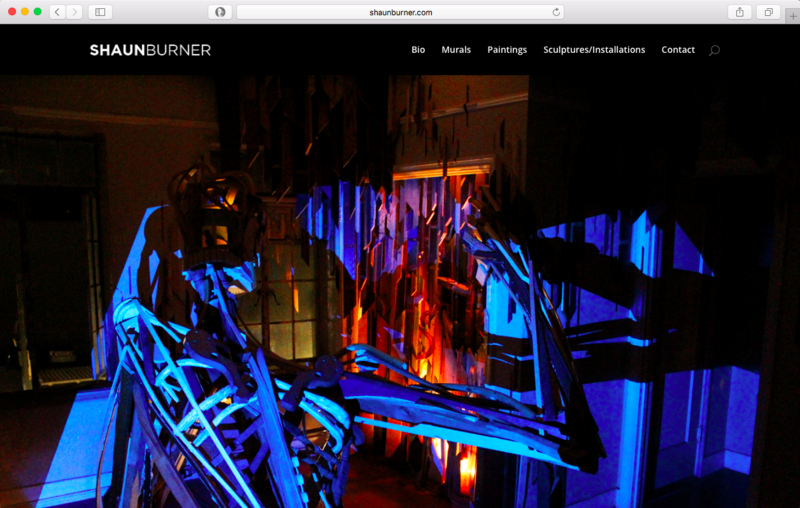 This website is a functioning ecommerce website, and also serves as Shaun Burner’s portfolio. Please click on the image to the left to view the website, if you are on mobile the image will be above.